How Does Novation’s Launchpad Pro Stack Up Against Ableton Push? 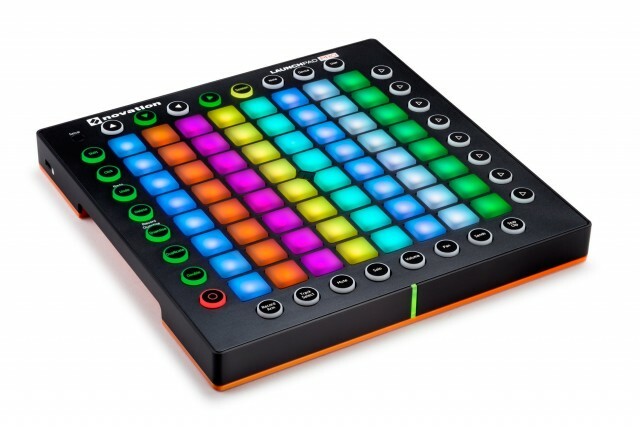 One of last month’s more predictable NAMM announcements was, at long last, an update to Novation’s Launchpad line that adds RGB color support and pressure sensitivity. But that means that it’s easier to compare the new Launchpad Pro with the spendier (but also more powerful) Ableton Push. It’s been a few years since the original Launchpad first commercialized the “grid performance instrument” concept popularized by the monome. Since then, we’ve seen Novation’s LEDs get brighter and the body get slimmer, plus the welcome addition of class-compliant support (opening up iOS and Linux compatibility and driverless operation). But the Launchpad itself remained a pretty simple grid of buttons. How hard you hit those buttons doesn’t matter, and you don’t get color feedback that could assist in knowing which clips you’re looking at. The Launchpad Pro focuses mainly on what the grid can do. Now, there’s velocity and pressure sensitivity, and RGB color feedback – just as on Ableton’s Push. So, the obvious follow-up question: why would you buy a Launchpad Pro and not a Push? There are some obvious and not-so-obvious answers to that question. First, the obvious answers. It’s cheaper. Yep, this is the big one: Push does more than the Launchpad does, but it costs more, too. The Launchpad Pro isn’t in the bargain basement with the rest of the Launchpads, but its US$299 street compares favorably to Push at $599 (assuming you missed out on Ableton’s recent holiday sale). It’s lighter and more compact. The Launchpad frankly surprised me with its durability in the market, but I think that’s partly to do with its durability in people’s bags. It’s stupidly light and compact and you can toss it around without giving it a second thought. (I know monome users who kept their treasured wooden instrument safely at home in the studio and abused a Launchpad on the road instead.) The Launchpad Pro adds some bulk, but not much – and that beautiful metal case Ableton uses on Push means it’s also a bit more to shoulder in your carry-on. But there are some less-obvious reasons, too. The workflow is shallower, but also simpler. If you liked the original Launchpad, you’ll find the Launchpad Pro’s quick-access buttons familiar. But there’s more to it than that. Every time Ableton went fancier with Push, Novation went simpler. That means Push is deeper, but it also means the Launchpad Pro promises to be quicker – at least in some cases. For instance, whereas Push’s drum modes split the grid into a step sequencer and triggers, Launchpad Pro just assumes what you really want is an 8×8 drum grid – nothing else. So, there’s less paging around for sounds, and less task switching to remember how the step sequencer works. There’s also one-button access to volume – no switching to a mixing mode required, that is. Now, it’s not terribly precise: you tap buttons to adjust volume, since the Launchpad Pro lacks faders or encoders. But Novation (and others) can sell you a fader box; what you get here is quick access. In fact, the best way to describe the approach of the Launchpad Pro is flatness. “Play” the mix. As noted in comments, check out the Fader Glide feature. The basic idea is, tap to set faders – and use velocity to change values. It’s interesting as it refocuses the Launchpad Pro on being a performance instrument. It borrows some of the “everything under your fingers” approaches of the more innovative work done by the monome community, but by adding velocity, does so with an additional dimension of expression. And that makes this more like playing a single instrument than playing an instrument and also adjusting mixer controls. I’m really curious to try this. There are still modes – Session (for clip triggering and so on), Note (for playing instruments), Device (for effects), and the normal User mode. But by doing less, the Launchpad Pro also gives you less to learn. It works with your MIDI gear and other software, without any effort. Now, this is the interesting one. Sure, Ableton Push is a class-compliant device and uses bi-directional MIDI to communicate. But it isn’t really set up to work with anything but Ableton Live. (The only exceptions so far have been elaborate templates created for other tools, like Bitwig Studio.) The Launchpad Pro, by contrast, is perfectly happy to work as a simple, pressure- and velocity-sensitive note controller with other software instruments. Finally, we get a grid controller that doesn’t require a PC around. The monome recently proved it could work in host mode with modulars, but being able to do this over MIDI DIN with no other hardware is an obvious edge. Up until this last point, I didn’t really feel I needed a Launchpad Pro to review – but this changes it, so stay tuned. I’m not necessarily endorsing the Launchpad Pro. There are still loads of reasons to get Push. Push is a beautifully built piece of hardware with a deep workflow. The display, the encoders, the ribbon controller – those are all things you might miss on the Novation, even if it is cheaper. Also, we have to see what Ableton does to follow up Push. (Push 2? Shove? Uh… whatever?) Please, Ableton – think about MIDI ports. Seriously. Especially with more gear adding minijacks. But the Novation Launchpad Pro, while it might seem at first like a “poor man’s Push,” deserves a second look for its superior operation away from Ableton Live. I’ll see when I can get one from Novation and hook it up to some gear. Yes, you’ll be able to set RGB values over MIDI. 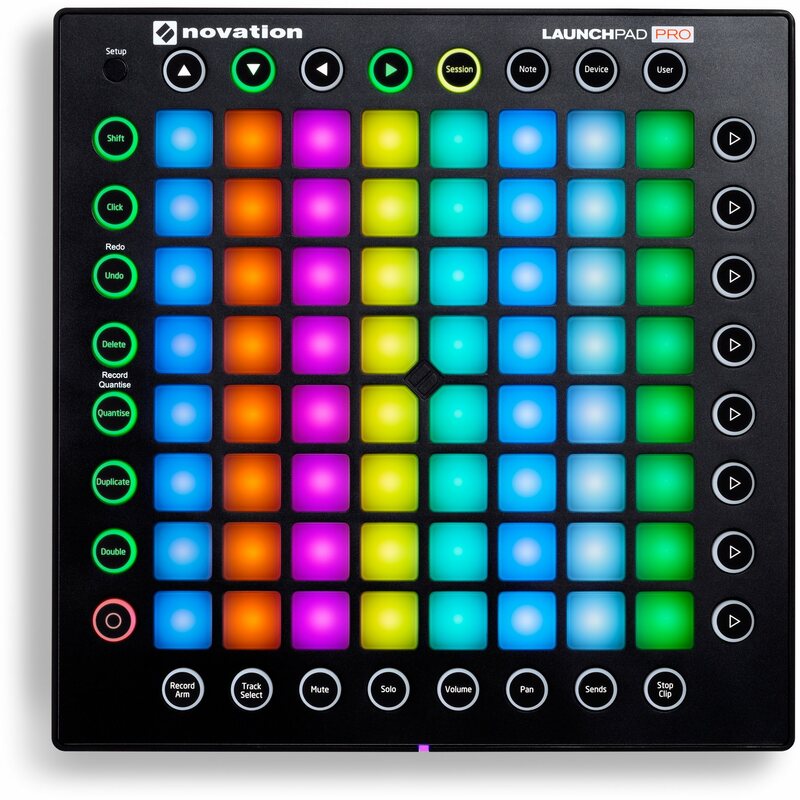 Launchpad Pro will have a ‘colour table’ of 128 colours which are addressable via MIDI note + note velocity values. There is also an RGB definition via MIDI Sysex so that the user can send a R, G, and B value to create their own colour mix. Both options will work via USB or the MIDI ports. We will publish our MIDI documentation closer to launch, which will outline the full details of integration.